When Internet use first became widespread, retailers were divided into two separate camps. There were brick-and-mortar retailers, who were considered the norm, and then there was the new wave of online stores. Businesses like Amazon and eBay were considered completely separate experiences from shopping local, requiring customers to think about shipping costs and time for delivery. But over the years, the two experiences have merged into one. Customers seamlessly move between a store and its website, often using mobile devices during the shopping experience. 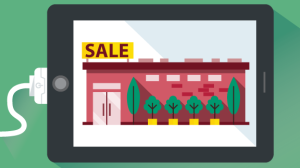 The term “bricks and clicks” has emerged as a result, capturing the many retailers that now offer items online and in a physical location. Here are three major ways retailers are taking the shopping experience in new directions. Now that customers have more options than ever when purchasing an item, businesses must provide something extra to gain that sale. Despite the fact that they can have products delivered directly to them, customers still choose to shop locally. Why? Because they still crave that personal touch. When a customer can ask a sales clerk to recommend the best computer or alarm system, that customer gets a level of service he can’t find online. Brands must reach toward providing that level of personal service to win loyal customers. Technology is geared toward providing convenience for customers. This makes the customer the true winner in the situation. Businesses must always keep in mind that customers are conducting thorough research before making a purchase and must strive to be aware of competitor prices, both online and locally. It’s no longer enough to simply promise to match any price. Brands must be competitive with their competitors when customers do online research and compare prices. Convenience is the order of the day, especially since many consumers have busy schedules. They realize they can order an item online and have it shipped to them, but what about returns? Online retailers must make the entire buying process as easy as possible, through conveniences like “ship to store” and in-store returns of online purchases. Local retailers will see increasing pressure to offer delivery options, as well. Consumers are the true winners in the modern retail environment. If brands can offer an experience that exceeds customer expectations, while also providing competitive prices, they’ll easily win those customers away from competitors. They may even earn a loyal customer base that turns to them first, knowing they can always count on that retailer to provide the best experience and the lowest prices. Making sure your store is making transactions, and not just acting as a “showroom” for products is a key factor in the retail industry. Since information is readily available at the customer’s fingertips, it is important to keep your prices in check both online and in store. This way, once the customer steps foot through the retailer’s door, they won’t be purchasing through their smart phones instead. Overall, being cognizant of your prices is a main selling point that must not be ignored.